Had a wonderful time, staff super friendly and helpful, close to George Street for nightly entertainment. 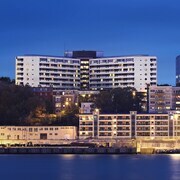 It is close to the waterfront, downtown shopping and George' Street. 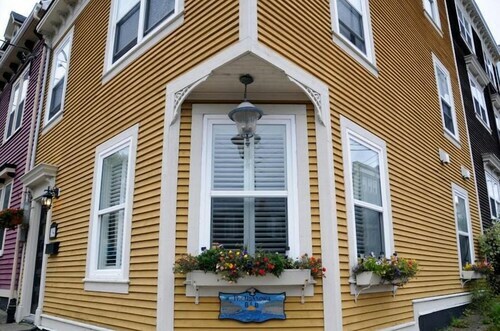 We stayed for 4 nights end of april- located downtown across from the harbour- 2 minute walk to GEORGE street, and an assortment of excellent restaurants to choose from. Located near 'The Rooms' the city museum, the pubs on George Street, and the Fishermen's Hall and Majestic Theatre for live entertainment. We had a great stay but the mineral pools were out of service. That said, they upgraded us to a jacuzzi suite at no extra charge, so we felt that we had been compensated. Where to find George Street hotels near an airport? 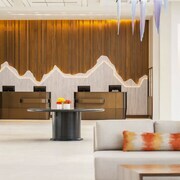 How can I find hotels in different George Street neighborhoods? 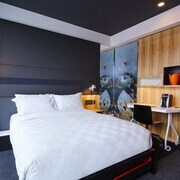 Where can I find hotels in George Street that are near tourist attractions? Provincial capitals are rich social tapestries, made up of vibrant neighborhoods and communities. St. John's, the provincial capital of Newfoundland and Labrador is certainly no exception to that rule. Here you'll find George Street, 0.2 kilometres (0.1 miles) northeast of the city center. 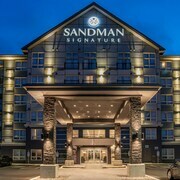 Situated close to the Signal Hill are the Sheraton Hotel Newfoundland and Courtyard by Marriott St. John's Newfoundland. 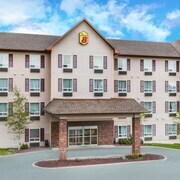 While the Delta Hotels by Marriott St. John's Conference Centre and The Murray Premises Hotel can be found close to the Memorial University of Newfoundland. Here at Expedia, our mission is to help you and your fellow travelers get the most from your time in St. John's. 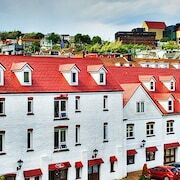 Visit our St. John's vacation travel guide and St. John's hotels page to discover more about this city. What are the most popular George Street hotels? Are there hotels in other cities near George Street? What other types of accommodations are available in George Street? Explore George Street with Expedia.ca’s Travel Guides to find the best flights, cars, holiday packages and more!